Full Wheel ~ Urdhva Dhanurasana – By Ink & Co.
Then, I graduated to full wheel, constantly working to drive the legs close to my arms, while keeping the arms straight. 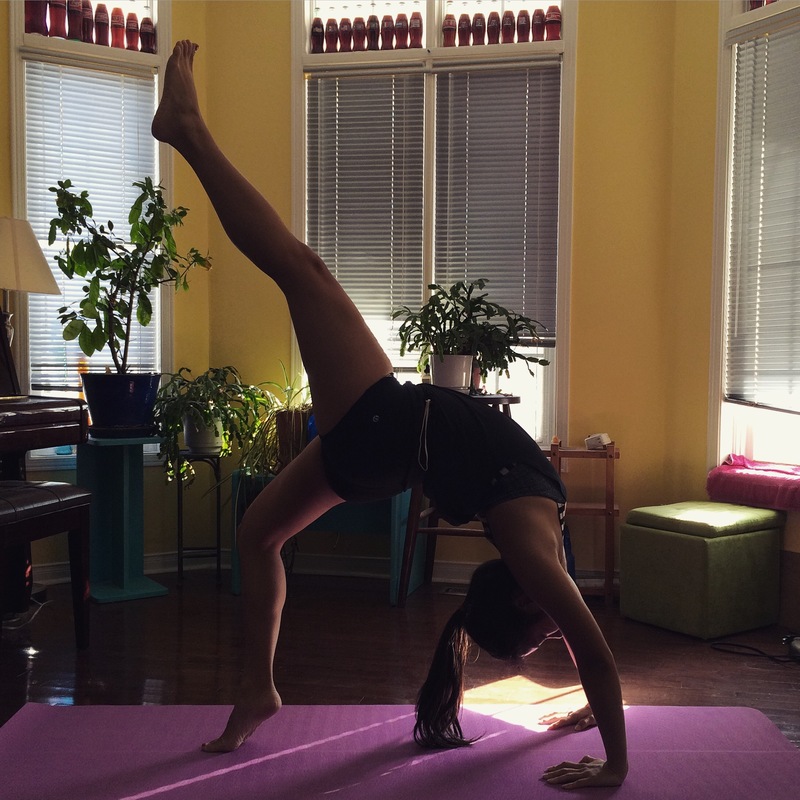 Lesley Fightmaster passed along some sound advice from her yogi teacher, “the only way to improve urdhva dhanurasana is to do urdhva dhanurasana”. 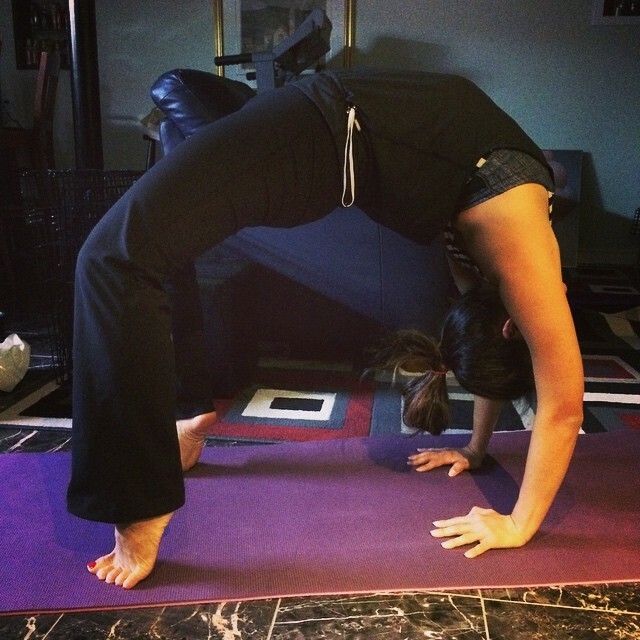 To improve your backbends, do more backbends. 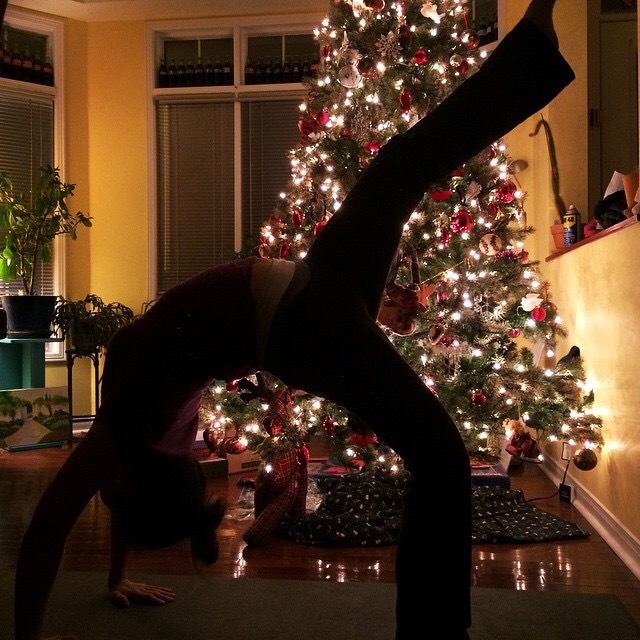 January 31, 2015: Quick morning yoga session before brunch with family and work. 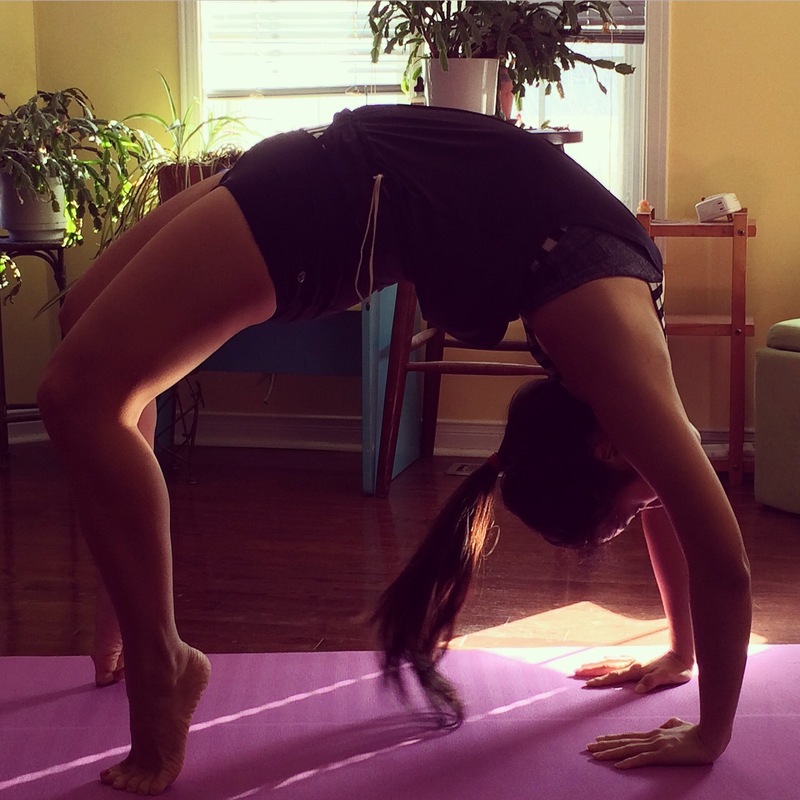 I haven’t full pretzel-fied this backbend but I will continue to do so. In the meantime, I have moved on to a one-legged wheel, Eka Pada Urdhva Dhanurasana, a full wheel backbend balancing with one leg up and one leg down. So now, the challenge is to straighten the leg up into the air, instilling strength while improving flexibility. It’s a difficult challenge and may take months and even years, but I will strive to reach goals that were never there one year ago.